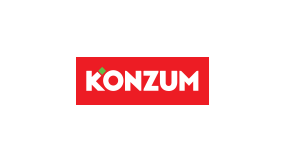 Konzum store is in the shopping center Lumini decorated according to the latest retail standards. Customers can use the rich assortment of food and non-food items and of course the most modern standards of presentation products. The store is equipped with six cash registers, and customers can use and innovative services such as paying bills, service to raise money at the box office, the Croatian Lottery games and purchase packaging.